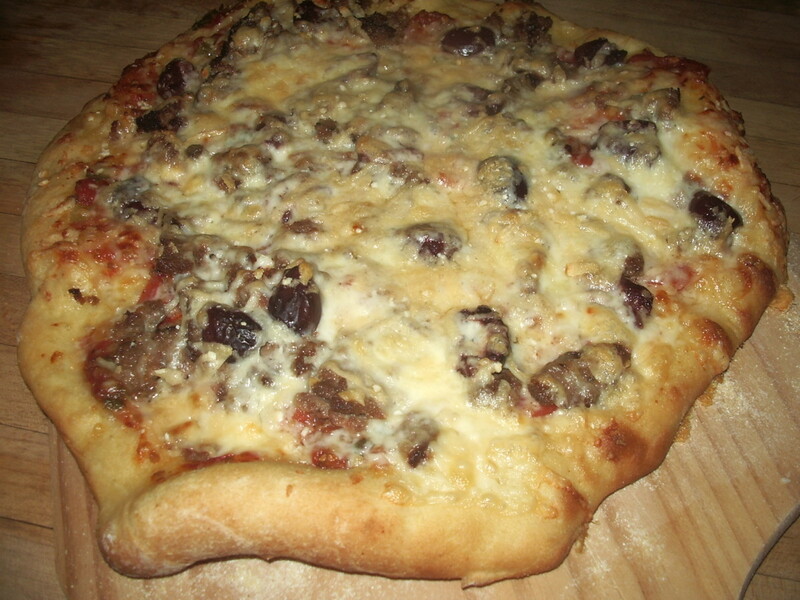 How to - Fantastic pizza dough. © frangipanni 2013. All rights reserved. 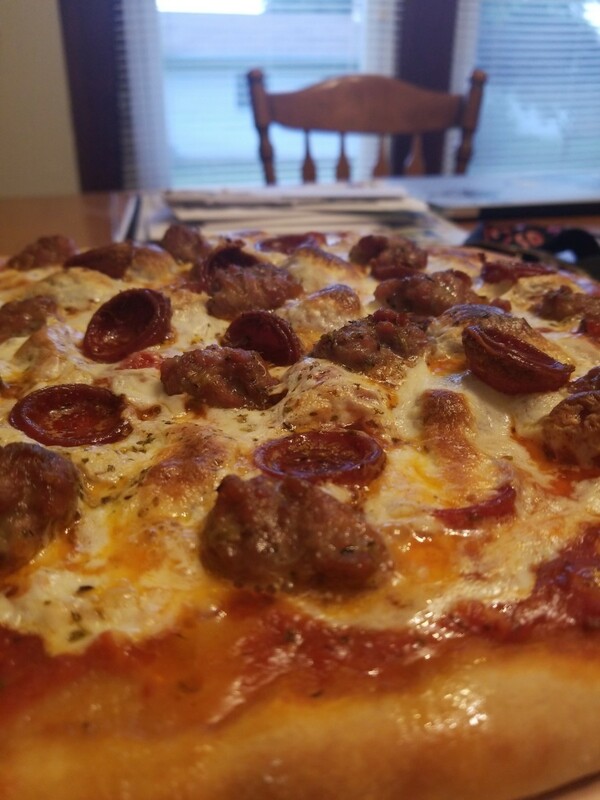 Some historians say that pizza originated in China but wherever it came from I think we all know that the Italians do it very well. 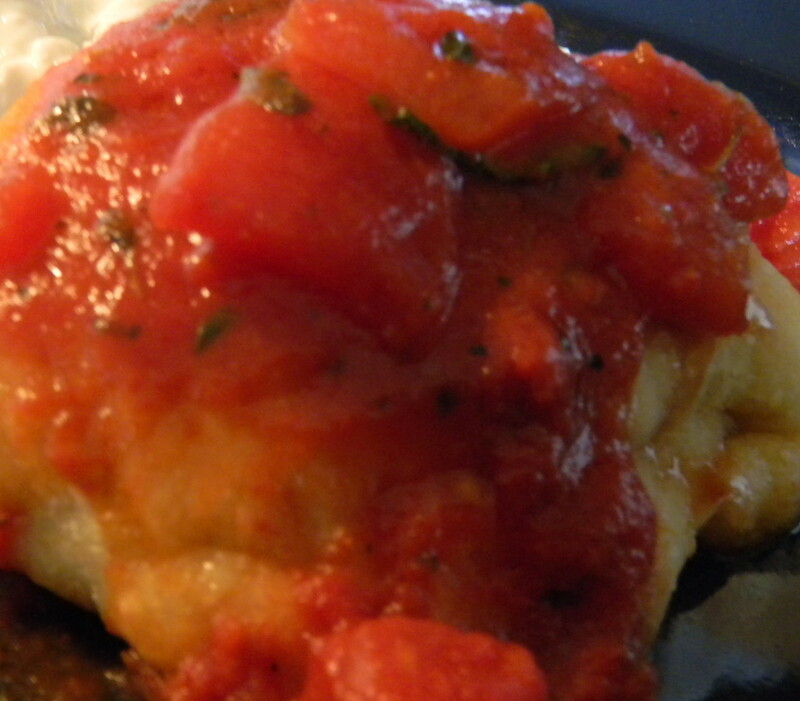 Here is Mamma's recipe straight from Italy. It turns out every time, it's not too thick and is perfectly crispy. 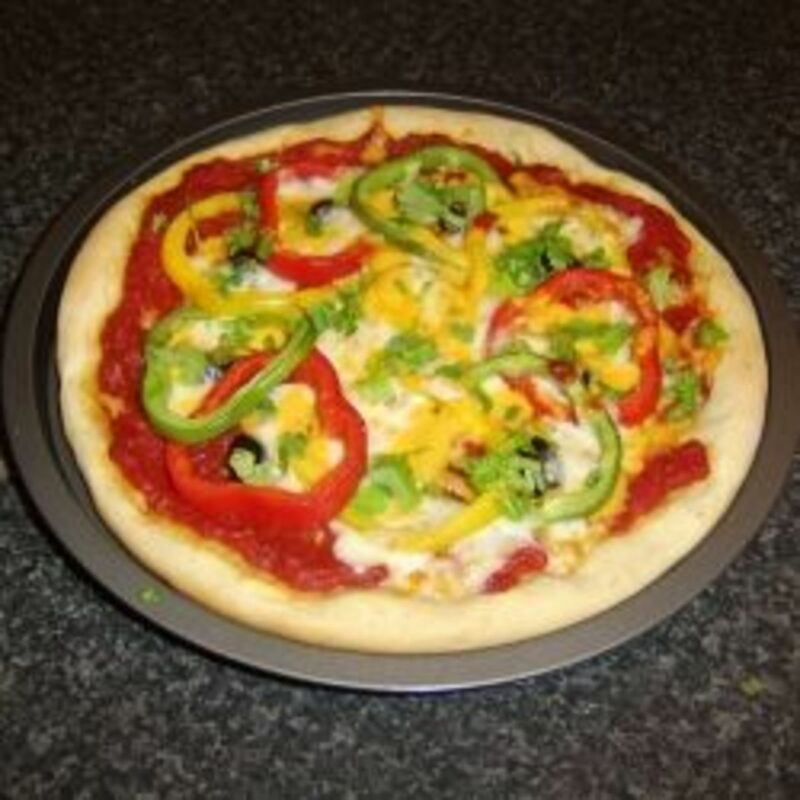 This recipe makes enough for three 13 inch or 33cm pizza pans. In your bowl add the water and the yeast. Give it a bit of a stir until the yeast is dissolved and let it sit for a few minutes. Add the oil, sugar and the salt into the yeast liquid and stir. Finally add the plain flour as well and give it all a really good stir until it's all mixture together like a sticky loose ball. 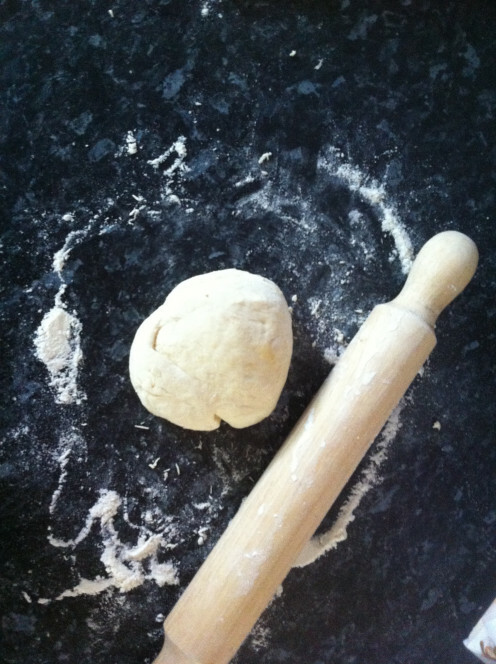 Tip the dough ball out onto a floured surface and give it a good knead with your hands for a few minutes until the dough mixture is smooth. 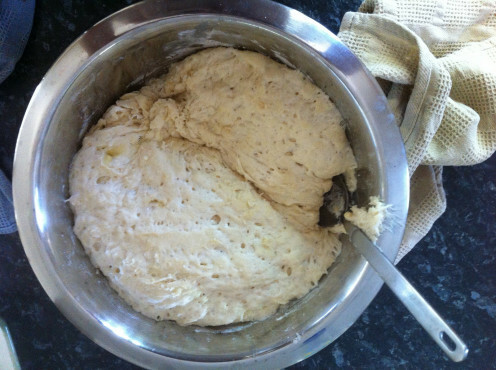 As this is a hub for the pizza dough, I won't concentrate on making pizza's but I'll quickly cover cooking a pizza. Get all your ingredients ready to top your pizza. Pre-heat the oven to 200°and oil your trays . 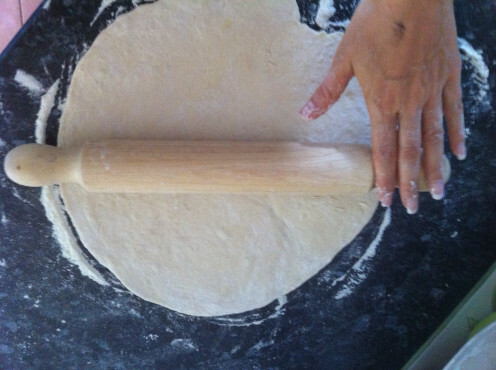 Rub some flour over your rolling pin. Tip the dough out onto a flour board, knead well for a few minutes until smooth and elastic and divide into 3 equal parts. 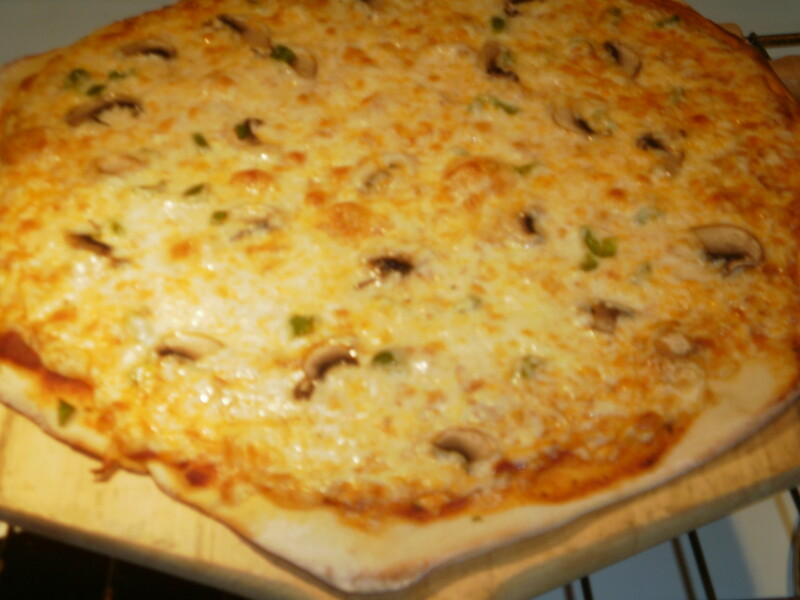 Roll each piece of dough into a circle to fit your 13 Inch pizza pan. 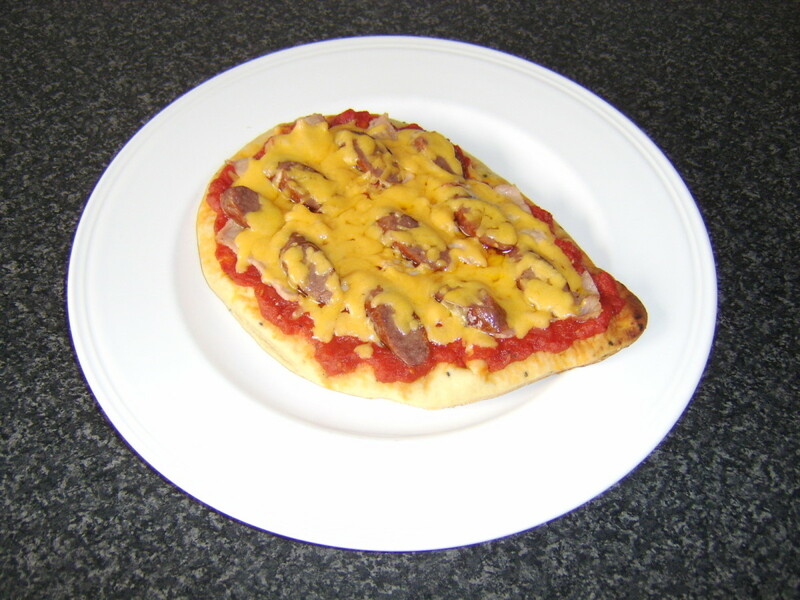 Placed rolled out dough circle onto your oiled pizza tray, add your tomato base sauce and swirl all over with a spoon. 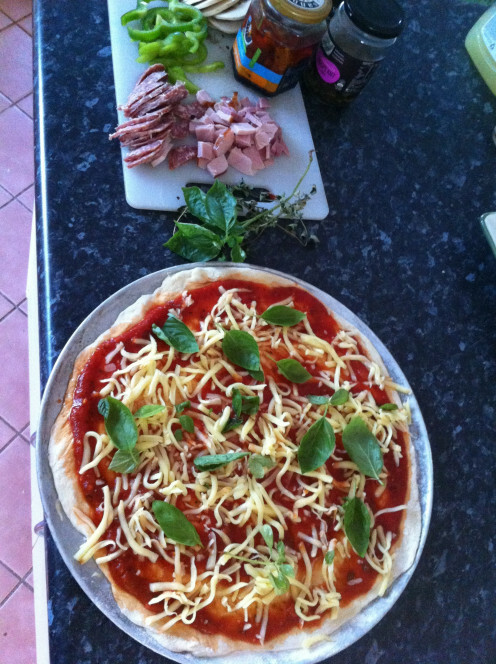 Top with cheese and your other toppings and Bellisimo! There you have your pizza. Pop into your pre heated oven for about 20 mins but keep an eye on it, The pizza may need a little less or more time in the oven. Don't worry if the underside isn't crispy check my tips below for the solution. If I have no fresh sauce on hand I use a jar of store bought, tomato flavoured pasta sauce and no one knows the difference. To crisp up the bottom of your pizza sit the pizza still in it's pan on the top stove element. Move the pan slowly around so the pizza is evenly heated from the bottom up. Do watch it slowly because they can burn quickly. Do this after it has cooked in the oven. I find aluminum pizza trays the best to use especially after they have been worn in, I find they don't stick! How to Desserts, make in 10 mins - 3 non cook, easy ideas Yummo! If you enjoyed my hub please check out my other hubs, comment, share and email the link to friends and checkout the items printed in blue for my recommendations and links. I hope he likes it which will give you a few brownie points too for cooking it! Enjoy. I will try out this recipe - my husband is half Italian and likes homemade Italian food. 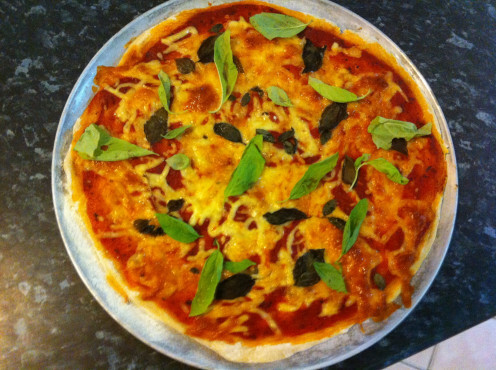 I have tried many pizza dough recipes - I will try this one next - thanks!